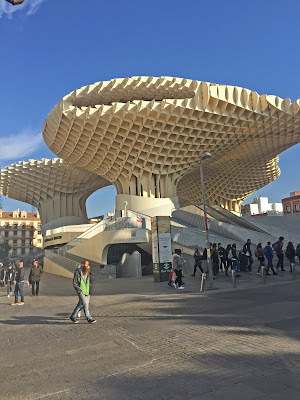 Letters to the Editor: THE PARASOL OF SEVILLE! 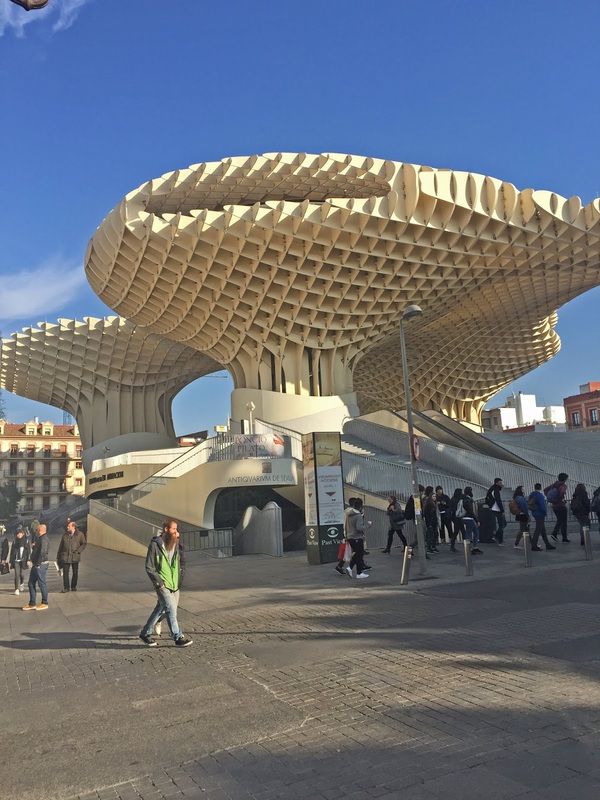 The Metropol Parasol, also known as Las Setas de la Encarnación is a structure completely done by wood, a magnificent example of modern architecture. It's was designed by Jurgen Mayer, a german architect. It harbors a museum, a huge supermarket, several restaurants and a promenade on the top from where one can see superb views of the Seville.